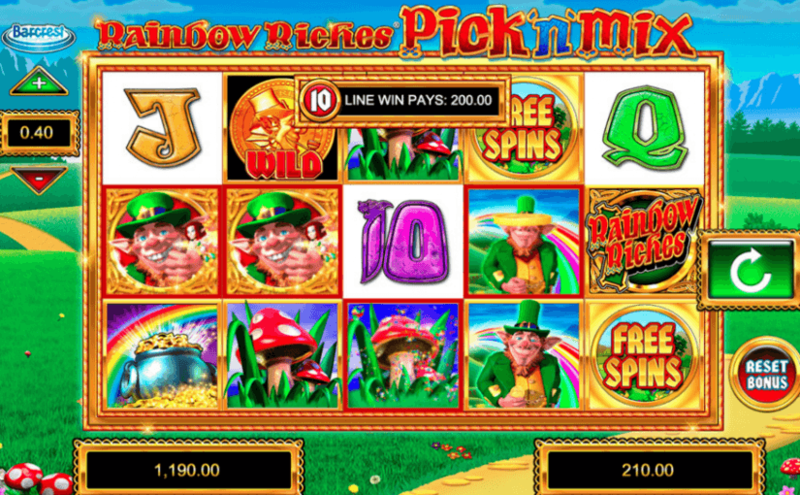 Rainbow Riches Pick ‘n’ Mix is based on the classic Rainbow Riches game and it is powered by Barcrest. It has 5 reels and 20 paylines and has been enhanced to offer 5 awesome bonuses and it also offers the Big Bet feature found on other popular Barcrest slots. There are 5 bonus features on this slot. Road to Riches Bonus, The Pots of Gold feature, Free Spins Bonus, Cash Crop Bonus and The Magic Toadstool Bonus. With so many bonus features available you are bound to really win an abundance of credits!